Adult gaming company, Cashino has invested close to £3.5 million in the refurbishment of UK venues in Birmingham, Cotteridge, Coventry, Ealing, Merry Hill, Southampton, Wembley and Watford. The company, which operates 168 adult gaming centres across the UK, has enjoyed significant success in recent years, and is aiming to build on this by focussing on the development of the customer experience. The intention being to be reposition itself as the number one low stake gambling destination, complete with a modern casino feel. 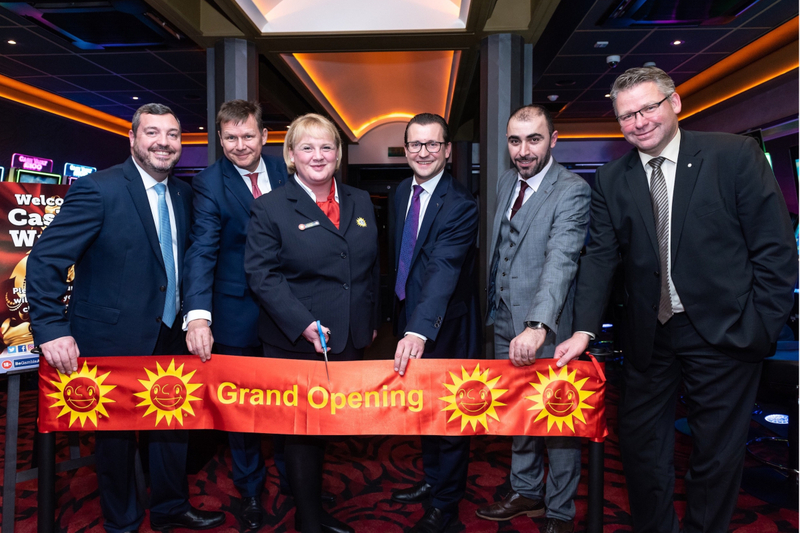 To celebrate the opening of the newly renovated venues, new and old customers, as well as passers-by, were invited in and treated to live entertainment, cash giveaways, goodie bags, special discounts, and access to brand new games and gaming machines. In addition to the refurbishment programme, Cashino has also invested a further £3.5 million in new gaming machines, and service training for its venue and area managers. Beacon Bingo, Cashino, Funshine and Tan Express are part of the Praesepe Group of companies, one of Europe’s largest and most experienced gaming organisations operating 6 Beacon Bingo clubs, 168 Cashino adult gaming centres, 6 seaside family entertainment centres and 28 tanning salons. Praesepe is based in Milton Keynes and employs over 1,800 people across its bingo and gaming venues. Praesepe raise charitable donation to £1m for CHIPS!